We offer Kambo as an optional retreat add-on for all of our Ayahuasca Retreat guests as a detoxifying and grounding treatment. 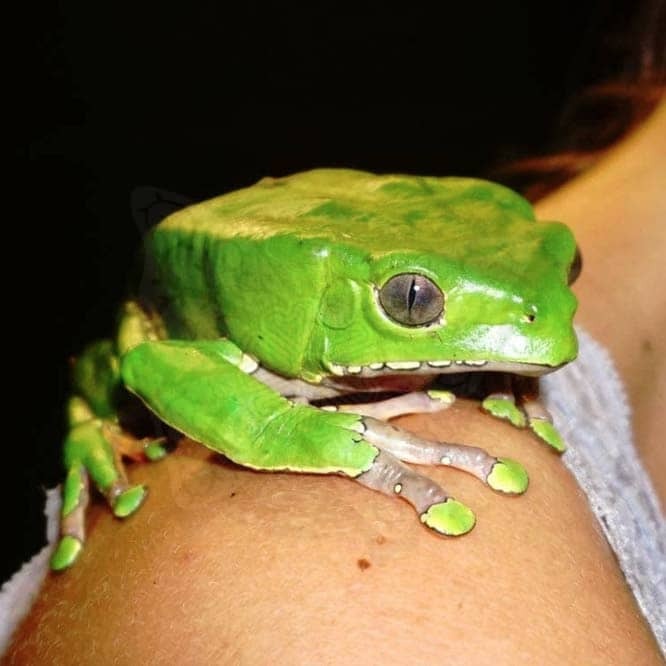 Kambo (also known as Sapo locally to Peruvians) is the venom from the Phyllomedusa bicolor, the Amazonian giant monkey frog. This medicine is well known around Peru and Brazil as the “vaccine of the forest.” It is most easily understood as a detoxifying purgative, immune-boosting medicine, and a powerful treatment for chronic pain and drug dependency. The venom is administered to a person via small holes that are burned into the top few layers of their skin, usually on the arm. Because of its purging and cleansing properties, Kambo is often used as a precursor to an Ayahuasca ceremony. Kambo ceremonies usually last about an hour, sometimes more, depending on the individual. The experience is quite intense and will cause your heart to beat faster. Effects are particular to each individual. We’ve seen guests sweat, purge, shake, clench hands/face/feet, and some have had visionary experiences. 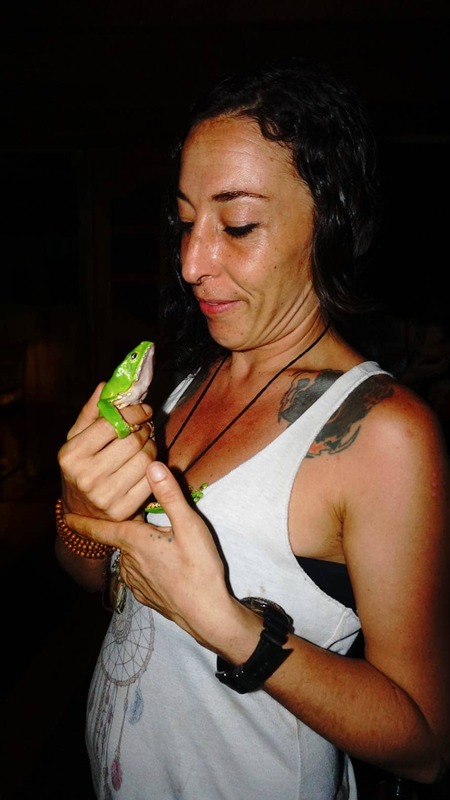 Cristina’s journey with Kambo began when she followed her curiosity to Peru to work more deeply with ayahuasca. Once in Iquitos, Cristina met Peter Gorman, author of Sapo in My Soul, who was the first to tell her about Kambo medicine. 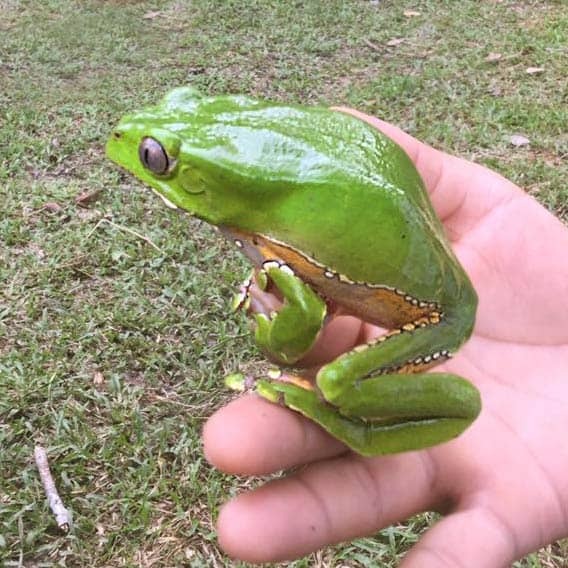 She was instantly fascinated by his stories of frog medicine! Peter introduced Cristina to his guide and good friend, Juan, who is a friend of the Matsés indians and able to take her to learn directly from the masters of Kambo medicine. Cristina was determined to learn Kambo in the proper way: from elders, within a lineage, immersed in the medicine’s natural home. While there are many Kambo trainings popping up all over the world now, Cristina remains one of the few practitioners who have learned in the true tradition, honoring the sacred kambo medicine. She now works at the Rainforest Healing Center, sharing her medicine with our guests as both a Kambo practitioner and practitioner trainer. “I didn’t have enough money then to journey all the way to their remote village, but Juan was able to arrange a meeting with a couple of the elders (Pepe and Luisa) in his camp, where Peter Gorman takes his groups. I spent two weeks there with the elders. We fished, cooked, learned how to prepare nunu (medicinal sniffing tobacco), and they taught me how to find the frog and the ritual to extract his venom. Interested in our Kambo Apprentice Program?